The Hub Singapore is one of the oldest co-working spaces in the city-state. It has been a fixture of the local startup ecosystem since 2012. After six years as part of the global Impact Hub network, the company is venturing out on its own, shedding the Hub license and rebranding itself as Found. The new entity will continue to work with its current clients and boost its consultancy services aimed at entrepreneurs and corporates. It will also expand to new cities in Southeast Asia. The Hub (and now Found) co-founder and CEO Grace Sai tells Tech in Asia the time is right for the business to grow beyond Singapore. It couldn’t do that within its existing license agreement with the Impact Hub network, as separate licenses would have to be negotiated for each new city. To stay competitive, Found will focus on a range of services that the Hub has been steadily building over the last three years. The company appoints account managers who work with “more than half” of its members to understand their needs. They help them determine their goals, runway, and hiring and funding requirements. Found has also been coaching corporations on innovation and startup culture. In fact, 40 percent of its revenue comes from this work. Sai explains that her team has developed a proprietary method to instill startup thinking within big firms. It’s worked with 75 so far. 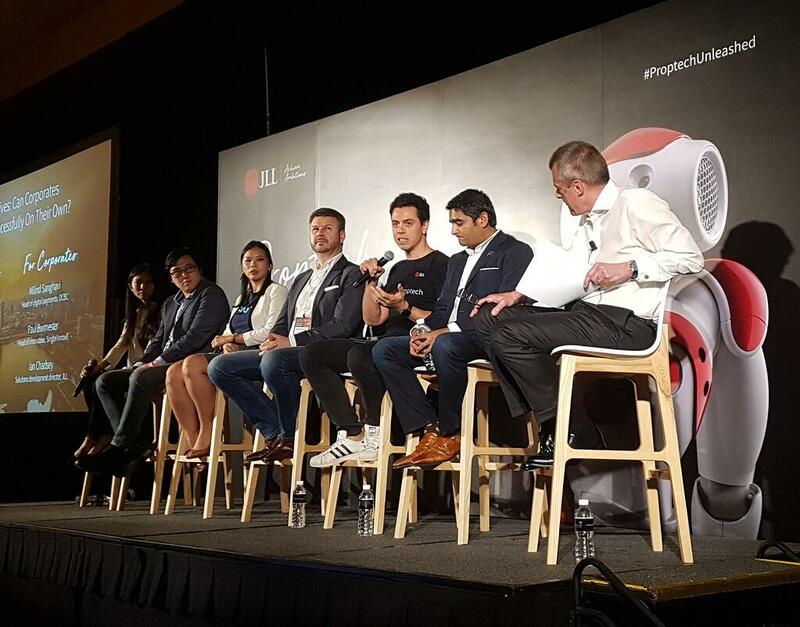 Among them is Singaporean banking giant DBS, which set up its first innovation team within The Hub, tapping the latter to form its initial strategy. The bank now has a full-blown innovation labat Singapore’s One North tech district. Found also worked with Procter & Gamble (P&G) when the multinational sought ideas to disrupt the laundry industry. The team helped P&G organize an innovation challenge where 14 finalists were chosen from the local entrepreneurship community. Out of those, 11 ideas were invited as pilots within P&G. Other clients include JP Morgan, Cartier, and Singapore’s NTUC. The new company will retain the Hub Ventures Fund (now Found Ventures), an early-stage investment fund for Southeast Asia that it announced in 2015. The US$752,000 vehicle has poured seed funding into four startups so far, including property networkSoho and cybersecurity firm Horangi. It’s way beyond selling a table and a chair. From its Hub incarnation, Found inherits two locations in Singapore and is about to open one more, which will host a 50-50 mix of corporate clients and startups. Sai declined to share revenue details, saying only that the business is currently profitable and has seen a compound annual growth rate in revenue of 71 percent, from 2012 to 2017. The community comprises 2,500 members and alumni, including major international startups like Braintree and Twilio. It has raised a total of US$4 million to date and its partners and investors include entrepreneur Lee Han Shih, the Pangestu family of Indonesia’s Barito Group, and RB Group. 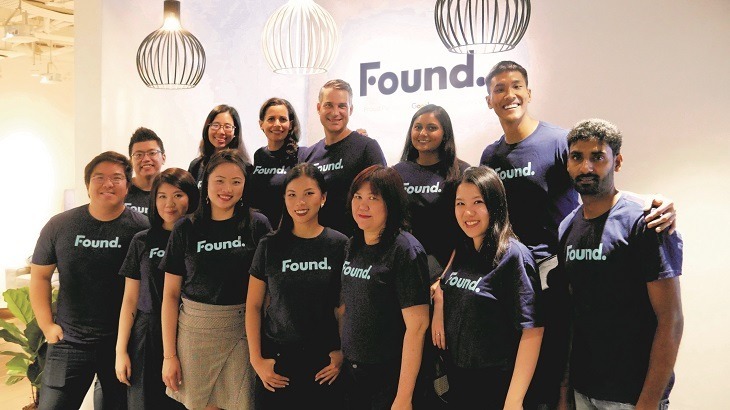 For its expansion, Found is targeting Kuala Lumpur and Jakarta – both of which already have other Impact Hub locations – and plans to enter three more countries in Southeast Asia next year. Found’s reincarnation and focus on the professional services and consultancy aspect of its business comes amidst a surge of local and international players in the co-working space sector. The past two years have seen an explosion in the number of operators, many of which have focused on offering comfortable workspaces and networking opportunities. Real estate services firm Cushman & Wakefield reports that co-working memberships in Asia Pacific are growing at a higher rate than the global average of 40 percent, while more than 8 million square feet have been leased in the region. The report points to Southeast Asia as a particularly frothy area. Examples include Common Ground in Kuala Lumpur and Toong in Ho Chi Minh City, as well as the merging of EV Hive and Clapham Collective in Jakarta. In Singapore, Collision8, JustCo, the Great Room, the Working Capitol, and the Hive are just a few of the more well-known spaces. Ant Financial- and Sequoia-backed UCommune, formerly UrWork, has also entered the market. Today it announced a suite of real-estate services for corporate clients and an online marketplace for tenants. Corporate spaces like Unilever’s Level3 are staking their claim in Singapore too, promising collaboration opportunities with its parent. Southeast Asia is a particularly frothy area for co-working. Meanwhile, the 800-pound gorilla of co-working, WeWork, entered the city last year, acquiring local rival Spacemob and opened two out of three planned branches. It also recently announced its expansion to Jakarta, where it’s planning to open in two locations. WeWork provides services to corporations too but mostly in the form of workspace in its own locations. It also fashions corporate workplaces after its own image. Many of these larger players have strong networks, upon which they can build additional services like consultancy. Found’s edge, according to Sai, is in the deep relationships it has cultivated with corporates, investors, and communities like the Google for Entrepreneurs global network. She also touts the personal touch the company adopts with all its members. “We have developed a culture and a structure in our organization where we still know every member’s name,” she says. “Our community managers are literally that – they’re not salespeople.” She adds that this type of relationship building is hard to scale for workspace operators that are just starting out. Sai reveals that Found had an acquisition offer earlier this year from “a major player” in Asia but refused to sell. “It was clear they were going to turn us into just a real-estate play,” she says.